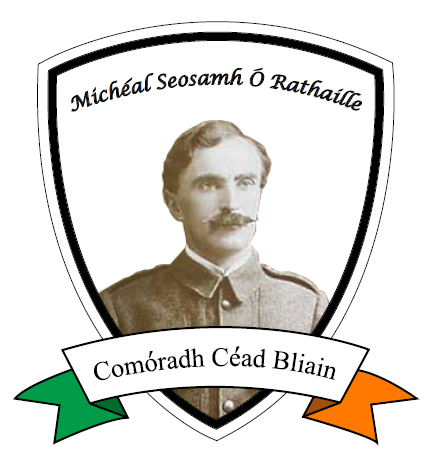 Clonoe O’Rahillys GAC was founded in 1916, and named after one of the Leaders in the 1916 Easter Rising, Michael J. O’Rahilly. It was not until the 1940’s that the Clonoe team became firmly established in Gaelic football. In 1941 Clonoe reached the Tyrone Senior Football Championship final for the first time and was beaten by St. Malachy’s Moortown. The 1950s was Clonoe’s most successful decade, with the official opening of O’Rahilly Park in 1952 and a place in the County Finals in ’52,’53,’56,’58 & ’59. In 1958 Clonoe defeated Carrickmore in the Final and the arrival of The O’Neill Cup at ‘the Corner’ became a reality. The 1960s were also successful for Clonoe with wins in ’60, ’61, & ’65. In 1973 the new Social Club was opened and a reserve team formed which won the Intermediate Championship in 1983.